All are welcome to this free event featuring the Airdrie Salvation Army Band and Choristers. The night includes a special children’s medley. Tea, coffee, hot chocolate and mince pies will be served afterwards. Wise men – and women – still seek Him! 10When they saw the star, they were overjoyed. 11 On coming to the house, they saw the child with his mother Mary, and they bowed down and worshiped him. Then they opened their treasures and presented him with gifts of gold and of incense and of myrrh. The 20/30’s invite you to join us Carol singing around the homes of those people in our Church who are housebound. We plan to do this on the afternoon of Sunday 21 December for a couple of hours between the morning and evening services. If you’re interested in coming along, please speak to Caroline McKenna. 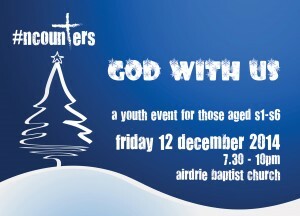 The second ncounters event takes place at the Church this Friday night from 7.30 – 10pm. This month’s topic is “God With Us” and will feature videos, music, games a short talk and some food afterwards. The event is open to all young people of S1-6 age and the speaker will be Gary Caldwell of Flowerhill Parish Church. Do spread the word, it will be great to see you there. 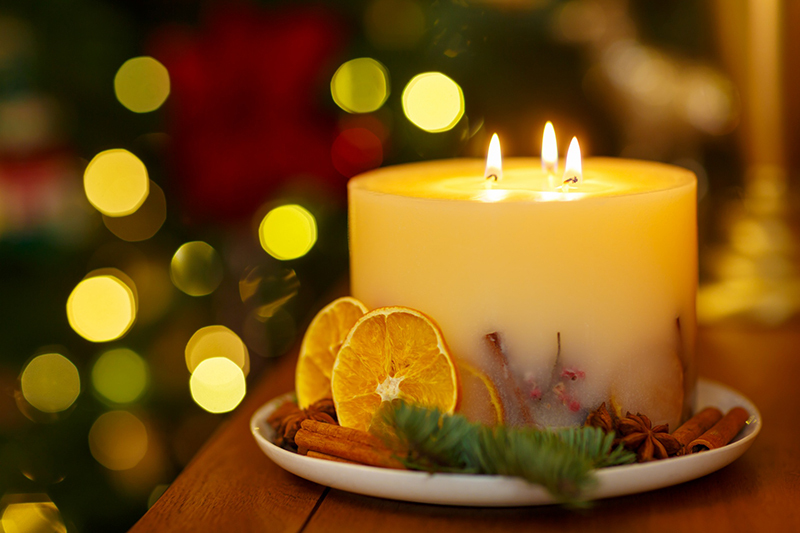 What do you associate with the word ‘Advent’? Maybe you think of opening a cardboard window to claim your morning chocolate, maybe your mind meanders back through memories of Christmases past, maybe you think of the stress of the season – getting presents and food and plans in place for the big day. Advent comes from the Latin word adventus meaning ‘coming’. It is the time of year traditionally when God’s people fix their gaze on the first coming of Christ into the word, mindful that he will come again. In the midst of all that advent brings these days, let’s not lose sight of that. Start off your Christmas celebrations joining with the local community for this year’s Airdrie Community Carol Concert. This year’s concert will feature the Airdrie Salvation Army Band, Tollbrae Primary School Choir, soloist Rachel Callander and other guests, as well as exploring and celebrating the true story of Christmas. Tickets are free but you must have one to attend. (Strictly first come-first served). A collection will be taken during the service for Maggie’s Lanarkshire with all proceeds going to support the work that Maggie’s do locally with people battling against cancer. Tea and Coffee will be available to purchase before the concert and doors of the Airdrie Town Hall open at 5.30pm. Please note the following arrangements for our Church services over the next couple of weeks. There will only be a morning service at 11am. Jason Leitch will conduct. This will be a short family service suitable for all children. There will only be a morning service at 11am. Jim Munton will be the preacher. Normal service will resume from Sunday 8 January.